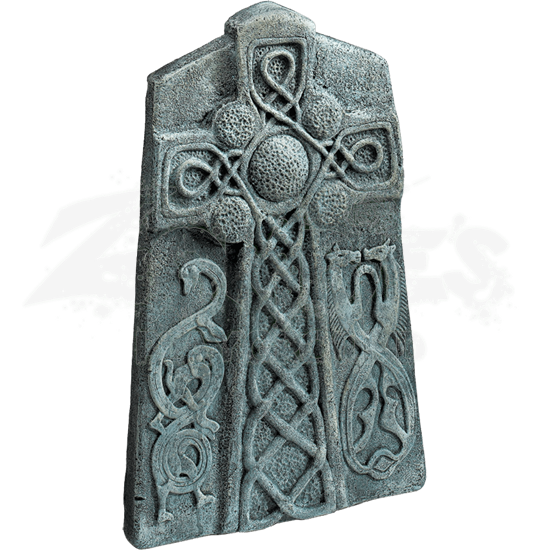 Nothing quite inspires horror like a tombstone and this Celtic Cross Tombstone Prop is a killer accent that looks like it comes to you direct from a graveyard! We promise that no grave-robbing was actually committed to make this available though. The tombstone is made entirely from molded plastic with a finish that makes it look worn and aged just like a real tombstone would be. Featured on the front of the tombstone is a Celtic cross design adorned with Celtic knots along with twisting Celtic symbols on either side. It stands approximately 24 inches high. 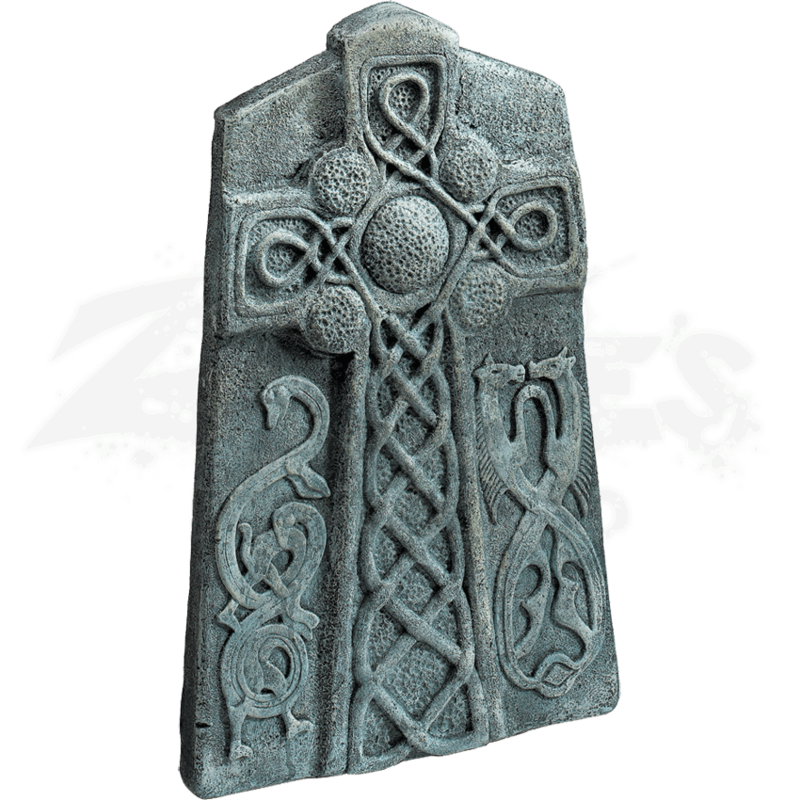 As singular accent this Celtic Cross Tombstone Prop excels as a creepy accent for any horror or gothic decor. Using several only enhances the appeal while also creating the look of an old graveyard too.